The following review contains a few potential minor spoilers. In my opinion, these details do not spoil much and are established fairly early in the narrative, but I feel it's only fair to mention their inclusion for readers who desire a clean slate. Initially, I struggled with believing a word of this novel. Told from the perspective of Thomas McNulty, Days Without End illustrates the setting and period in a manner that feels extremely authentic. The problem had to do with the story itself: two gay men, one who commonly wears dresses, along with their daughter, fight in the biggest American battles of the 1850s and 60s, and are generally well liked. It sounds ludicrous, does it not? Because, frankly, how many such people could there have been in those years? The more I thought about it and the deeper I read, the more I began to question my original doubt. It's not at all ludicrous. Even the part about being well liked seemed accurate as I got to know these characters. This is the biggest compliment I can give Sebastian Barry and his most recent novel—Barry took a very hard-to-sell story and made it not only convincing, but enjoyable. Evocative of Cormac McCarthy in its blend of lyrical prose and brutal western themes, Days Without End is a different kind of story all together. It's an improbable historical novel of epic proportions in a small package. Its blend of a less-educated vernacular with gorgeous and insightful passages is hard to believe at times, but like the story itself, it works surprisingly well. Perhaps it is exactly because of the implausibility of language and story that this novel excels. Without the unique perspective and the powerful lyricism, this novel would likely be just another addition to the long list of fictional accounts of the American Civil War without anything to set it apart. Days Without End is constantly immersed in tales of war and of family. The “war” in the novel perhaps drags on a big too much, especially considering the brevity of the novel. For my benign tastes, there were a few too many conflicts. By the time I arrived at the fourth or fifth major conflict, I didn't much care about the results. I suspected the outcome would be similar to all those that preceded it. I'd have preferred a little more time spent on the family aspect, though surely the two overlap considerably. Another reader may have hoped for the opposite. Days Without End is one of those novels that seems so simple in so many ways that you can imagine the author whipped it out in a matter of weeks and didn't need to look back. It's short and it's straight-forward. But you can also imagine the author spent considerable time with each and every sentence. They're painstakingly beautiful, yet they smack of the language of the time and place. 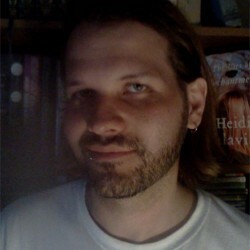 Whether Barry labored over the making of Days Without End or not, the talent is obvious. Here is a story that glosses over some of the rough edges of mid-nineteenth century America, but sharpens others. The result is a gritty but beautiful novel, a fable where uncertainty melts away one page at a time. Days Without End stands a good chance of making the shortlist, in my opinion. It's an excellent contender with a strong historical narrative. Though some readers may be turned off by its implausible themes, it is because of the superb handling of these themes that this book rises above other well-written Civil War novels. Perhaps the greatest deterrent for shortlisting Days Without End is that it is yet another book about America in a year where perhaps there are too many nominees about the American experience. 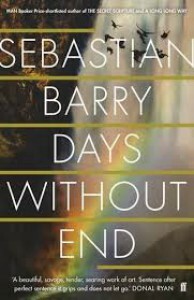 I feel confident that Days Without End will be shortlisted and will be an excellent contender for the top award, but I have doubts that Barry will bring home the prize this year.